Luigi’s Pizza is a local fixture in this area. Established in 1949 and run by the Ciriello family, it has been providing Italian dishes for decades. 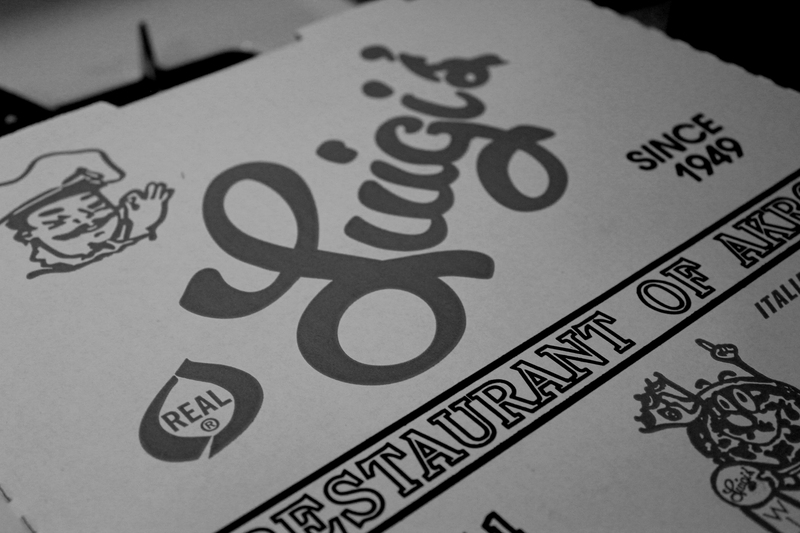 It’s rare that you come across a local resident that hasn’t heard of or been to Luigi’s. It was even the inspiration behind the pizza parlor co-owned by Funky in the comic strip, Funky Winkerbean. Because of how crowded it can be, I typically just do carryout when I get pizza from here. Often times the line to get it will stretch the length of the building. A lot of people love Luigi’s. I’ve learned that your preference for the pizza is very subjective. More so than any other food. 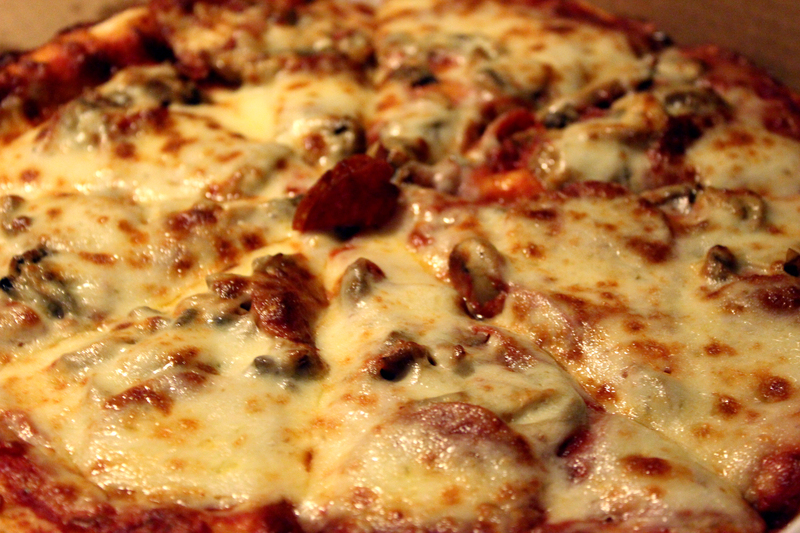 Some people really like thin crust, some like thick, some like more sauce or cheese than others. Because there’s so many variations when it comes to the pie, it’s hard to judge which is best. Personally, I think it’s not bad. But it isn’t the greatest either. I tend to judge all pizza against the slices I had while visit New York a few years back. I do enjoy the crust being a bit thicker to hold the weight of the ingredients. I love that the cheese evenly coats everything. I also think it’s a bit greasy. Maybe too greasy for my liking. Once again, it’s not a bad pizza, but it is on the more expensive side. For a large pie with a couple of ingredients (not including cheese and sauce), it’s going to cost you a little over $16.00. Overall, I feel like this place is one of those local staples like Swenson’s. You have to try it at least once. But for the price, the size, the waiting time to eat in, and the quality of pie, I wouldn’t put it on my “Best Pizza Ever” list. Just yesterday someone asked me what the obsession is with Luigi’s:) I’ve never had New York pizza, so at this point, Luigi’s is the pizza by which I judge other pizzas. I have definitely had this before! If your are in the are sometime you should check out my favorite Pizza restaurant in San Jose.